The purpose of personal information that we collect from you will depend on how you interact with Black Diamondz web site. This section will explain in the broad sense, just how personal information may be collected via our web sites, and how this information contributes to the development of Black Diamondz's web site. Users are not required to register on Black Diamondz 's web site in order to use it. Our commitment is to provide you with the opportunity to opt out, check or correct any information you have submitted on-line to Black Diamondz or any of its affiliates or partners. Please refer to the appropriate page to request the changes. Where requested, Black Diamondz will remove any personal identifiable information from its current operational systems. To have any information removed from Black Diamondz databases please email the privacy officer at Black Diamondz. Any personal information that is submitted to our web site is held with the strictest confidence. This information is securely stored and access is restricted to authorised Black Diamondz personnel only, ensuring that your personal information is protected and safeguarded. The information we gather from your use of our web site enables us to provide better services which are tailored to your needs. For example recording usage patterns help us identify the areas of our site that are popular and those that are not. The data which is gathered is aggregated for analysis by Black Diamondz. Identifiable characteristics and the user's name remain anonymous. Your personal information is not shared with any other third parties unless explicitly and expressly communicated when you submit the information. The information is contained and access is restricted to Black Diamondz authorised personnel only. However, where it is necessary for law enforcement purposes or where we believe there is a threat to a person's safety or health, we may need to disclose your personal information to third parties as required by law. 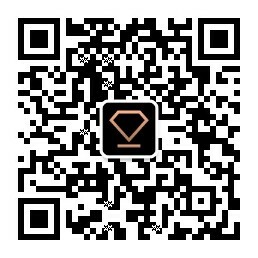 Is my personal information shared with anybody outside of Black Diamondz? Black Diamondz acknowledges that you will click through to third party sites from our site, and thus recommends that you refer to the privacy statements of the sites you visit. Black Diamondz assumes no responsibility for information and content of third party sites. Please be aware that whenever you voluntarily disclose personal information over the Internet, for example, in discussion forums, via e-mail or in chat sites, that this information can be collected and used by others. In short, if you post personal information in publicly accessible on-line forums, you may receive unsolicited messages from other parties in return. For any additional assistance, please email the privacy officer at Black Diamondz.